So how do you create a reading program for a different culture when you don’t speak the language? That has been my task over the past two years as part of the GLXi Project. 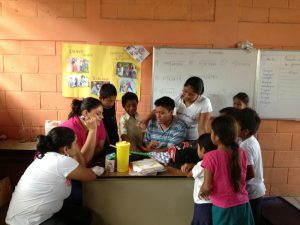 The project in Guatemala began two years ago when members of a not-for-profit group in St. Louis called The Global Learning Exchange contacted me about creating an after-school program that would support the work of the Minister of Education in Guatemala. The Minister was focusing her attention on the frustrating failure of young children learning to read in the 33,000 schools in a country about the size of Missouri. Over forty percent of the youngsters fail first grade; and by third grade, the population remaining in school drops precipitously. When I accepted this challenge, one of the first things I did was tap Dr. Bob Dillon who is my go-to person for everything cutting edge in technology. He joined our team and helped us design the program. Bob and I trekked to Guatemala to see the issues first hand and to find out what we might be able to accomplish. In our first meeting with the Minister of Education, we found her eager to support our work and pressed us to establish a strong research base so that she could expand the program once it had been tested. I returned to Santa Fe eager to create an early reading program that would serve these children and teachers and advance the Minister’s plans. What I created involved four different components: guided reading, guided writing, vocabulary development, and independent reading. The program is taught for an hour and a half, three times a week after school. GLXi generously put together the necessary materials including both high and low technology. 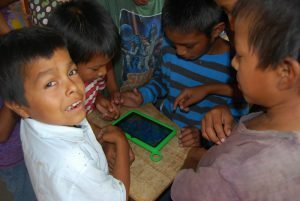 For example, each teacher received a projector and an XO tablet—the same tablet used in A Laptop for Every Child. 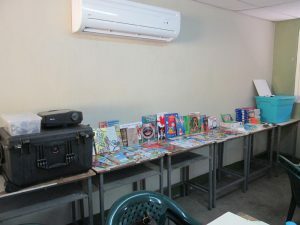 The tablets are loaded with books that are projected on the wall and used to teach guided reading. They also received composition books for every child to write in and small white boards with markers. The package included crayons, pencils, and most importantly, a collection of books for independent reading. 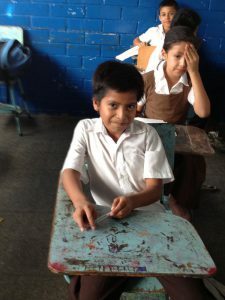 We are piloting the program in four Guatemala schools this year. I visited Guatemala again in March to work with the pilot teachers for three days. During that time they learned to develop lessons, teach the vocabulary games, help students read the books in guided reading, and write stories with their students. They were a passionate and committed group. GLXi has an in-country coordinator who visits the schools regularly and reports the program is going very well. We will visit again in late summer to find out from the teachers what needs to be modified to better support their work. One of the things we did to follow up on the Minister’s request was to test each student in the program using an international literacy test. We will do this again at the end of the Guatemalan school year so we can get some base-line data. Given the in-country coordinator’s reports, we believe we will be able to expand this program next year to at least a dozen schools before we return to the Minister with data. Watching the teachers’ delight when they opened their materials and seeing students carefully opening books and giggling at the pictures was an amazing experience. Literacy is, after all, one of the most important gifts you can give to someone. 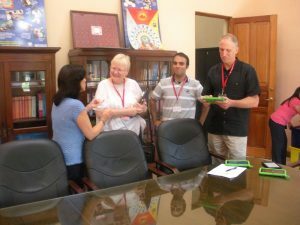 Linda and part of the Global Learning Exchange (GLXi) team meet with Guatemala’s Minister of Education. 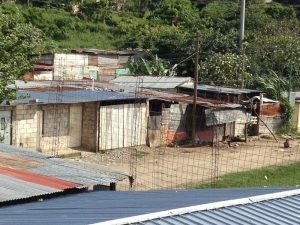 The houses in the village of Amatitlan, one of the villages where the program is being piloted. Teachers and students explore the XO tablet for the first time. The materials to teach the program generously provided to each teacher by GLXi. One of our amazing GLXi teachers testing a student one-on-one before program begins. Juan, whose smile and personality just melted my heart! And I think the little girl behind him needs glasses. Students playing with the XO tablet. 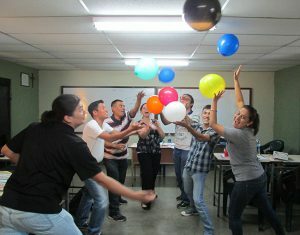 GLXi teachers during training displayed their enthusiasm. Our goal was to let no balloon drop—to remind us that we would let know child fail.